I‘ve just returned from a spectacular trip to New Zealand where I spent three weeks running around the mountains and soaking up as much nature as I could before coming back to Pakistan. 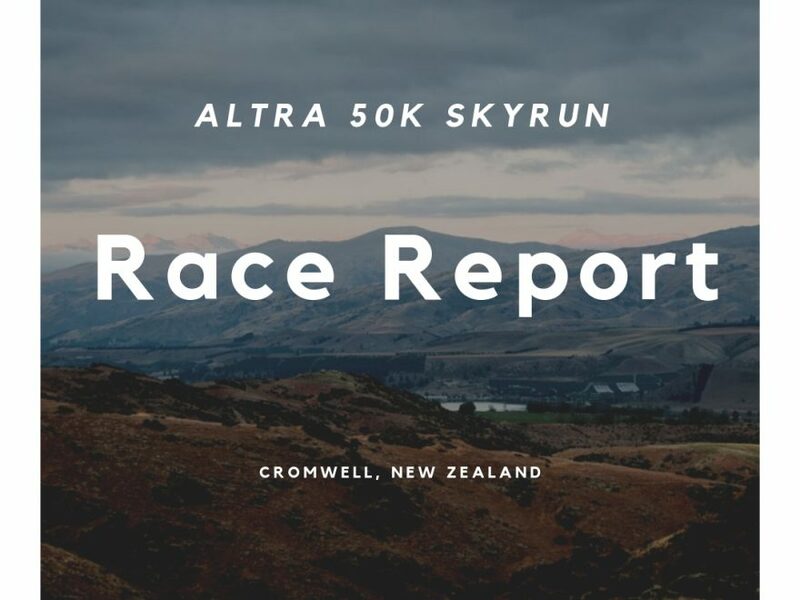 Part of this trip, and one of my major focuses, was to run the Altra 50k Skyrun race which is part of the longer and more notorious Northburn 100-miler. 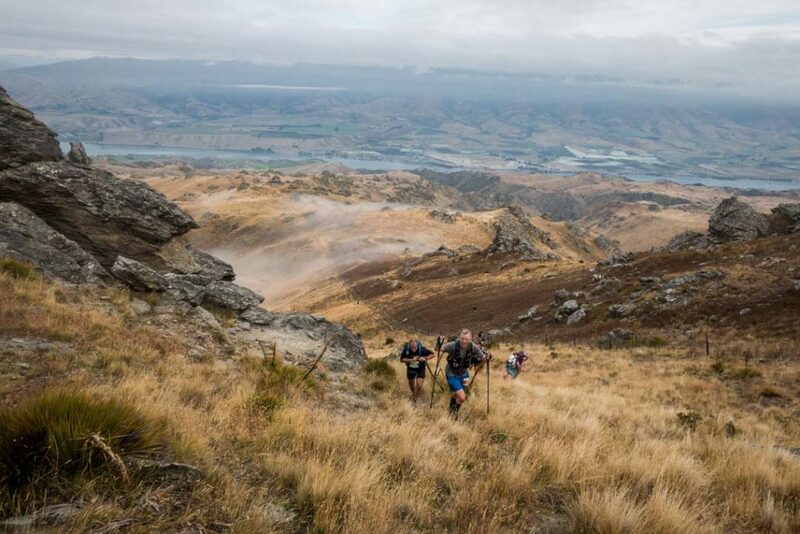 The race began at 6am on Saturday, March 23, 2019 in Cromwell, New Zealand. 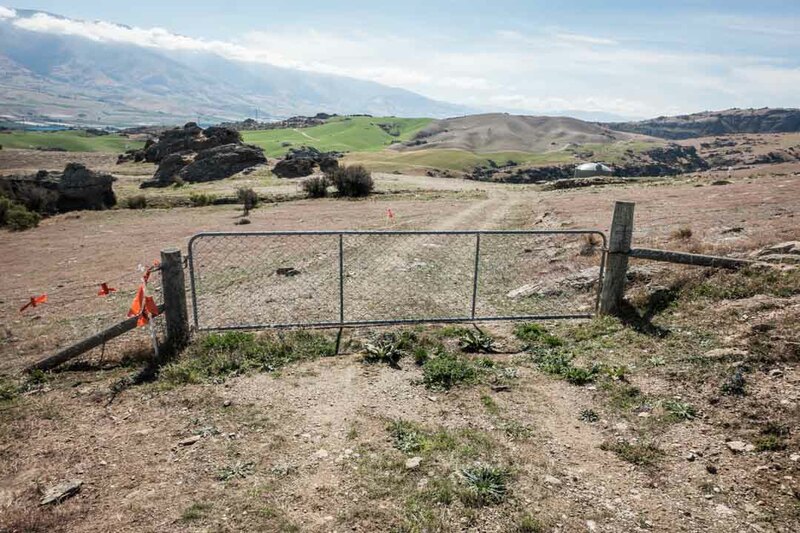 We chose to get an AirBnB as our accommodation in Cromwell and highly recommend the area. Not only was it super close to the starting point of the race, but the town is almost exactly halfway between the touristy (and for good reason) spots of Queenstown and Wanaka. 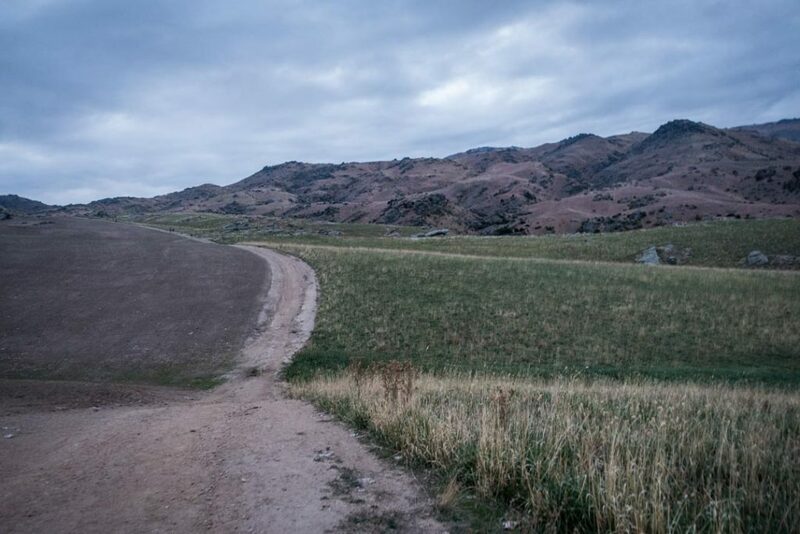 Cromwell was clearly more “local” than other places we visited in New Zealand but is home to lots of trails, wineries, and other fun things to do. There weren’t a whole lot of people in line, but because the required gear list was so extensive, it took several minutes for each person to get the thumb’s up and proceed to picking up their bib. 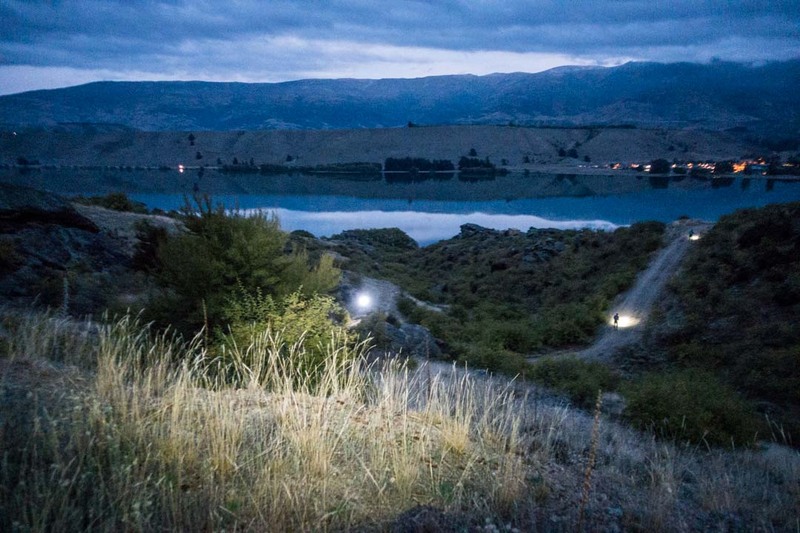 Once everyone was sufficiently petrified about the race conditions, we were let go to make our way back to the BnB to get some rest – but not before snapping a few more photos! 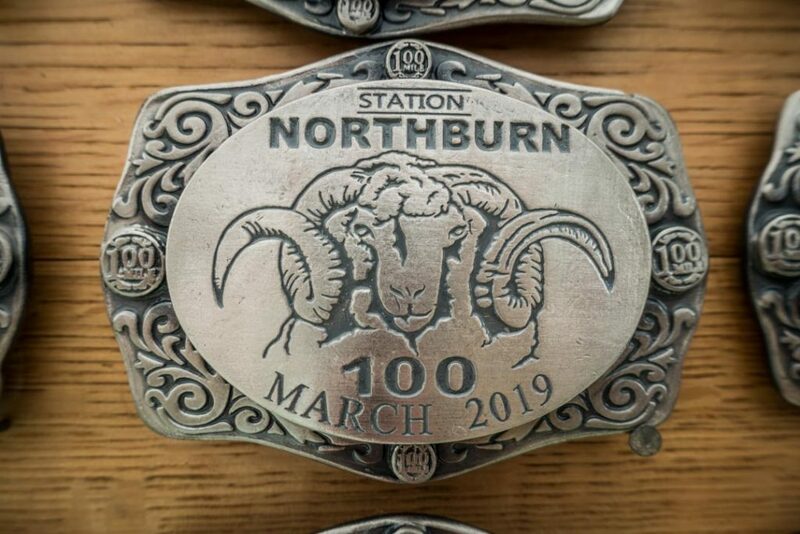 Buckles for the 100-miler finishers. Race grounds. Conveniently next to a great winery! My gear and food were mostly the same as usual but with the addition of all the extra required items. 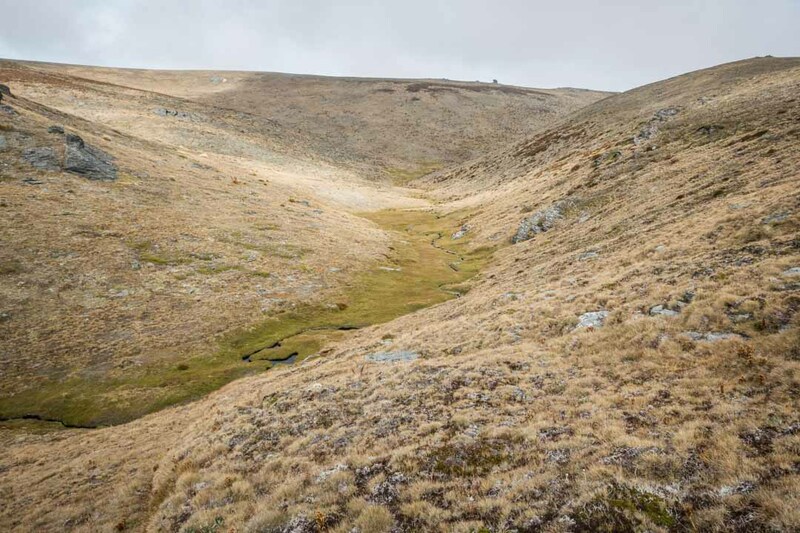 This area of New Zealand is notorious for quickly-changing weather and in past years they’ve had snow, rain, high winds, and various combinations of foul conditions so they make sure that everyone has the proper clothing to sustain extended exposure to all of the above. 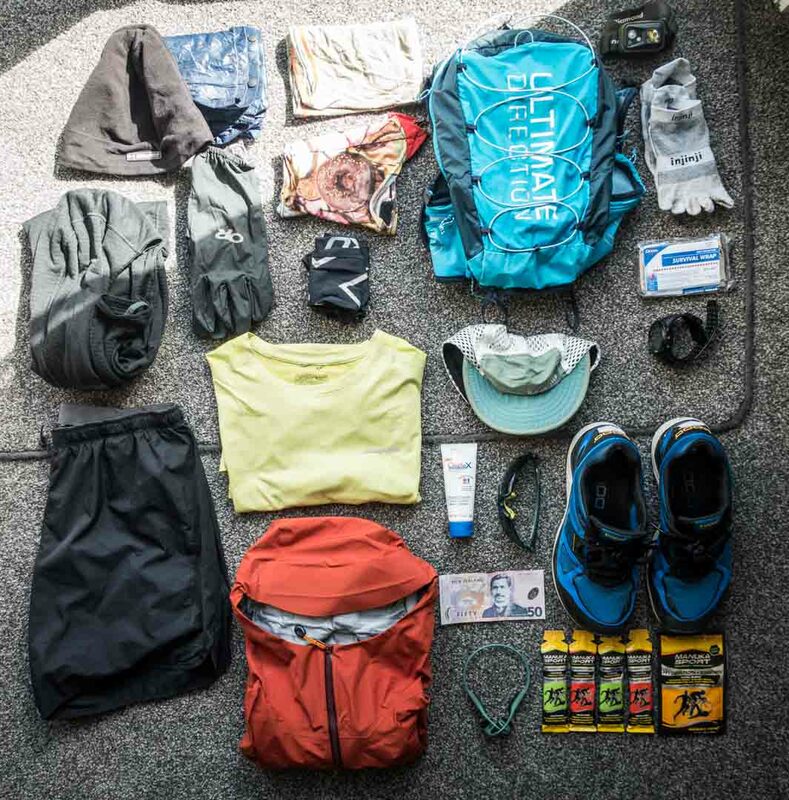 Although I chose the most compact and lightweight gear I had (thanks to extensive practice on the Appalachian Trail), my running vest was still crammed to the brink of splitting with all the various things I needed to bring. I saw other runners who wore nearly full-sized packs or included an extra fanny pack just to be able to tote the additional gear. Not only was it less comfortable to run in, but the extra weight made the climbs that much worse. On the other hand, I didn’t die so I suppose it was worth it. 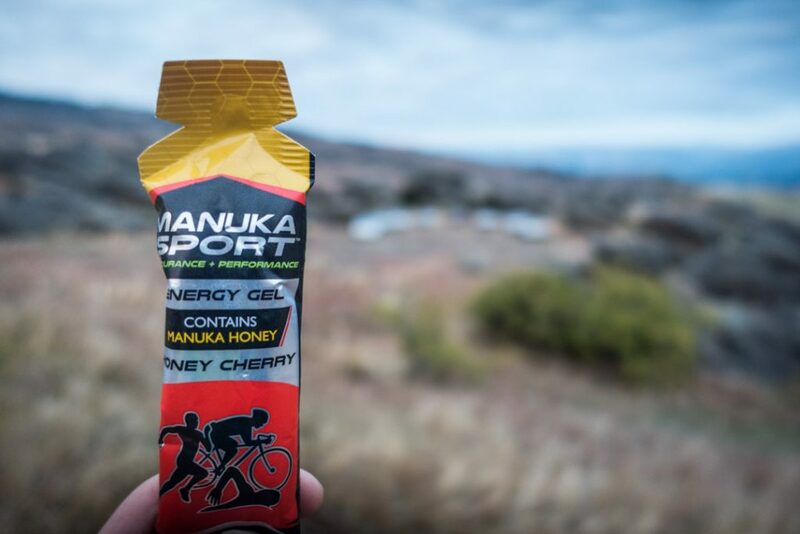 Bringing ManukaSport gels back to the land of Manuka Honey! Nutrition wise, I also needed to pack a bit more than usual because this track had significantly more elevation gain than my last race so I needed some extra calories. What’s more, I knew the aid stations were be a bit more scant than I was used to so I needed to rely almost exclusively on my own food. To do this, I brought a few ManukaSport gels, electrolytes, salt tabs, an RX Bar, two Justin’s Almond Butter packets, and some candy. This would ensure I could take in the sweet-spot amount of 200 calories per hour. I’m always grateful for a 6am or later start, and given the close proximity of our accommodation to the start line I didn’t have to get up earlier than 5am which rocked. Despite the later wakeup, I still had trouble getting to sleep the night before as I always do and ended up tossing and turning for several hours and not getting much sleep in the end. Before making the short drive to the start area, I ate a peanut butter and jelly sandwich and a banana then got dressed and headed over. With this being a rather low-key race, I had no trouble finding parking or the start line. The race began at 6am sharp with runners from all distances. I placed myself in the rear, per usual, and had to walk the first bit while everyone slowly filed through the arch. Although there were a good amount of people crammed into a small space, it wasn’t anything like the crowd at TNF 100 Thailand which had several thousand – this was more like 150-200 for all distances combined. 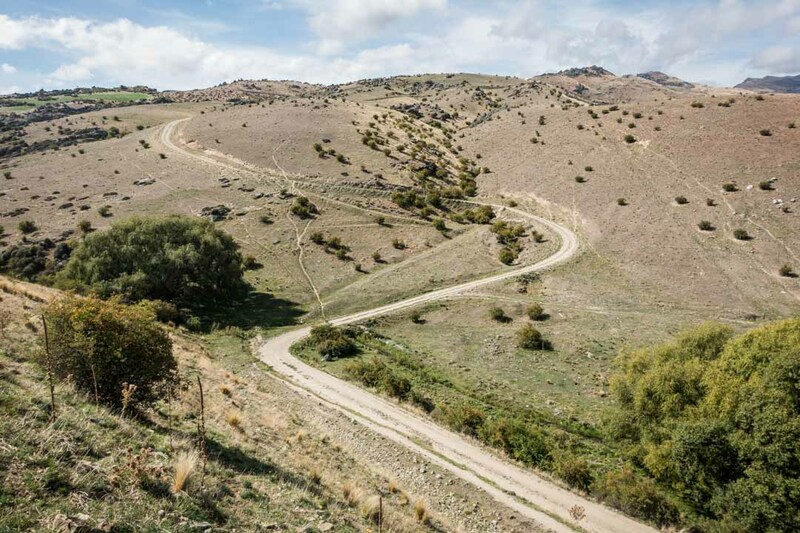 The first part of the race consisted of a 5km loop on a dirt road which brought us back through the starting area. I guess they needed to make up some distance and used this little part at the beginning to do so. It was still pitch dark by the time I finished that section and would stay that way until after 7am. Once it began to get a little lighter, the alpenglow lit up Lake Dunstan below. That first 5km loop was easy enough and it was just starting to get light once I got on to the regular route. It was relatively easy undulating hills for about another 5km, which was quite enjoyable. This was about the time when the climbs began, and they didn’t let up for the entire first half of the race. The elevation profile looked like one big climb followed by an sharp and steep descent, which is exactly how it panned out. One of the volunteers at the first aid station told us that if we “find ourselves somewhere flat, we’re on the wrong trail”. Boy, was that accurate! Speaking of aid stations, they were few and far between on this course. Not only that, they were more basic than I’m used to – partially due, I’m sure, to the difficulty of getting supplies to these remote areas. 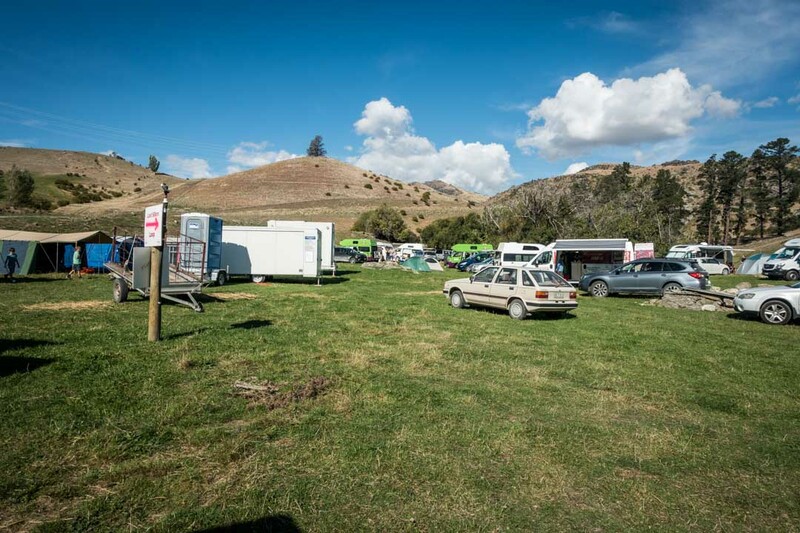 The first aid station was about 15km into the race and it only had water and Powerade. Because I was in the back of the running pack, the water was already gone by the time I arrived. Because of all the extra clothing I had in my pack, it was annoying and difficult to retrieve my water bladder so I skipped this station and carried on knowing I had enough to last me until the next one. 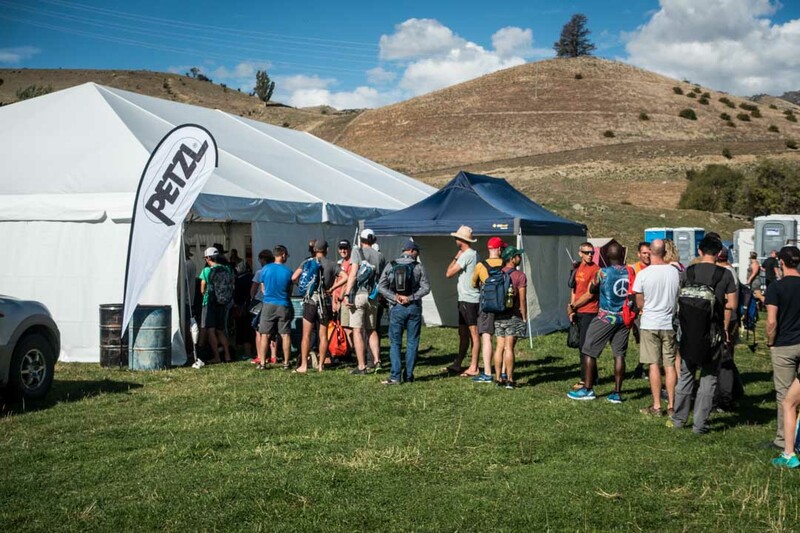 Typical aid station – not much to be had. The idea behind this water stop was to get people through the next 10km section, which was one of the most difficult of the whole race. It was, of course, entirely uphill but also completely un-runnable. 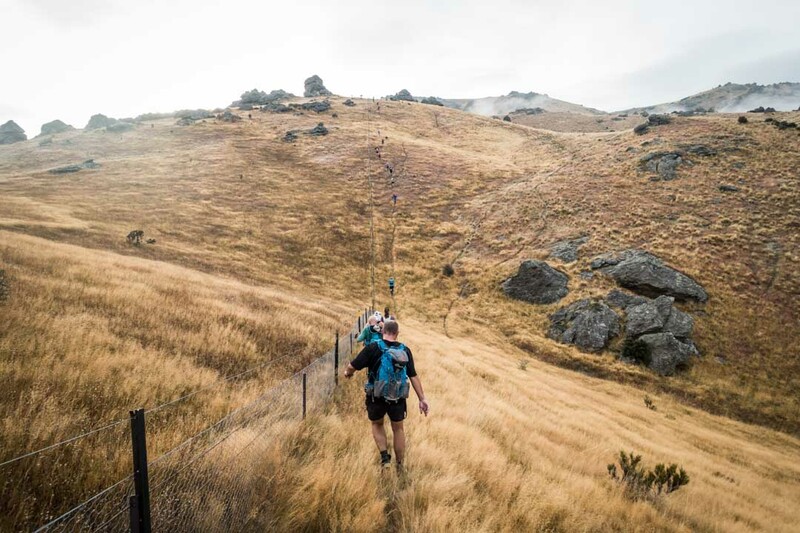 Immediately after leaving the aid station the course followed a fenceline that appeared to head infinitely upward. There wasn’t much of a trail to speak of and the foliage was so overgrown that you couldn’t easily see where you were stepping – a recipe for quickly twisting ankles. Up, up, up along the fenceline. Once reaching the top of this section, we were awarded with a great view of where we’ve come. One of the toughest sections of the race – as shown by the looks of agony on the faces of my followers. I wasn’t quite to the top of the mountain at this point, though, and still had a couple of difficult miles to slog through to get there. At the top, there was the “main aid station” which, in addition to water and Powerade, had some potato chips and museli bars. Again, being one of the later runners to reach this point meant there wasn’t much left. I was, however, able to refill my water bladder before continuing on. I shoved a museli bar in my mouth and started the descent. The first couple of miles were along a grassy riverbed, which was slick and boggy. There weren’t many runners nearby at this point, so it was quite serene. Beginning of the descent and relief from the climbs. 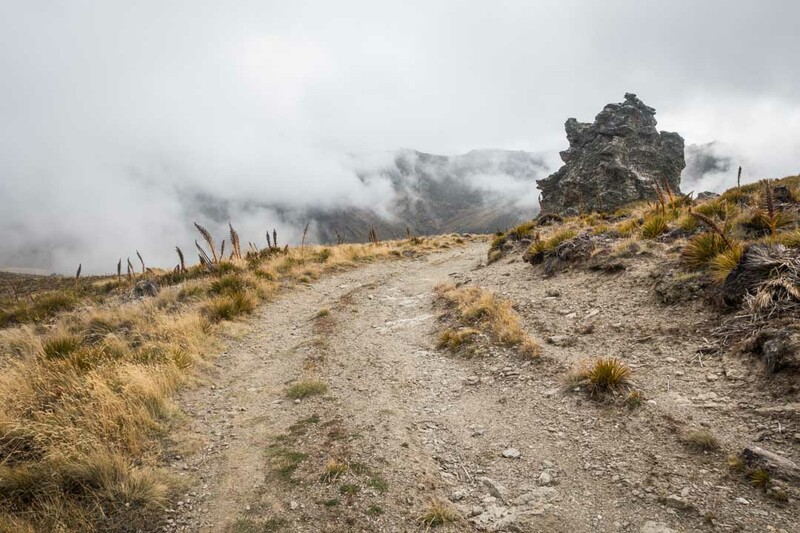 Before long, the trail popped out onto a jeep track – the first in more than 15 miles. It was a lovely sight to see since it meant I could actually run. 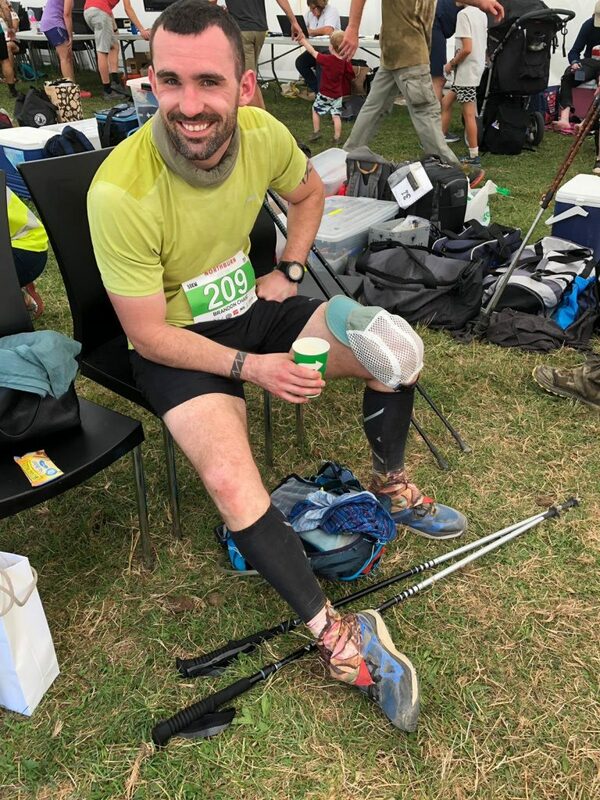 By now, I had walked so much that my hip flexors and feet weren’t even sore – rare for me at this stage of a race. I finally got to stretch them out a bit which felt pretty nice. The track more or less followed a series of jeep tracks for the remainder of the race, give or take a couple of short sections. However, they were incredibly steep in some parts and the sun was now pounding on us from above, which created a new set of difficult circumstances. Doesn’t look like much from here, but the track below is STEEP. From then on, I ran when I could and walked when I felt like it. I chatted with some 100-miler runners along the way and shared my disbelief that they could do this for another 75 miles. The mental and physical toughness needed for that is truly remarkable. As I made my way to the finish, I kept encountering big metal gates that needed to be climbed over in order to proceed. 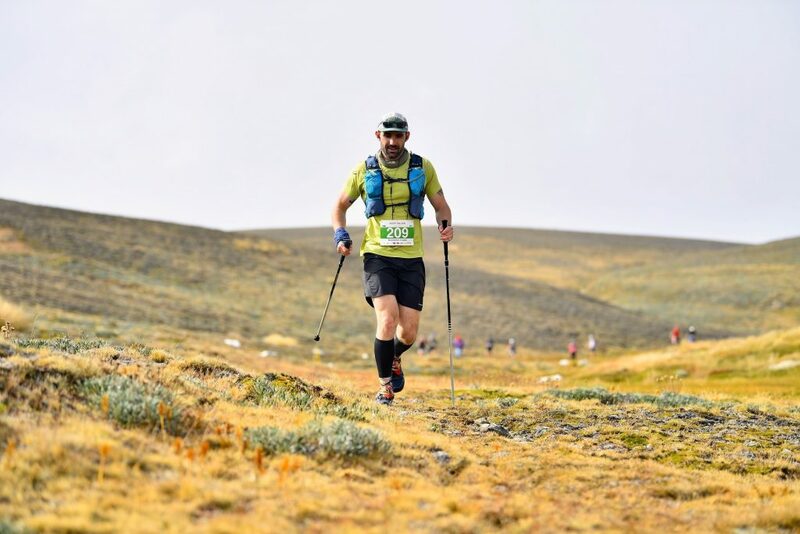 The race director mentioned this in the briefing and cautioned us to take care during later stages of the race as this is when you’d be likely to cramp up – and he was right. Although I didn’t end up cramping, I felt like an elderly man trying to swing my legs over these behemoths. What’s one more obstacle in an already tough race? One of many obstacles to overcome. After crossing the finish line (and getting a high five – but no medal – from the race director) I headed straight for the recovery tent, where those doing the longer runs would change clothes, have a meal, and head back out. I ordered a beer and plopped down to rest for a few minutes – I was beat! My final time was 9:05 with a distance of 31.6mi. Below is my GPS data from Strava. The official results from the races stats page shows that I came in 41/53 runners (the winner having a 5:34 time). This just goes to show how challenging and competitive the race was. Compared to the results of the North Face 100, where I finished in the top 10%, this was quite different. As usual, I’m not the least bit concerned with my rank or comparing myself to other runners. For me it was an exceptionally strenuous race given the elevation change but I still had a great day out there, which is all I’m really concerned about. If I had to point out any mistakes I made (other than lack of sufficient elevation training) it’s that I was a bit too lax about my nutrition. As mentioned earlier, I was quite depleted by the end and wasn’t taking in sufficient calories for the weather and trail conditions. It wasn’t a complete disaster, but it could have been if the race were any longer. 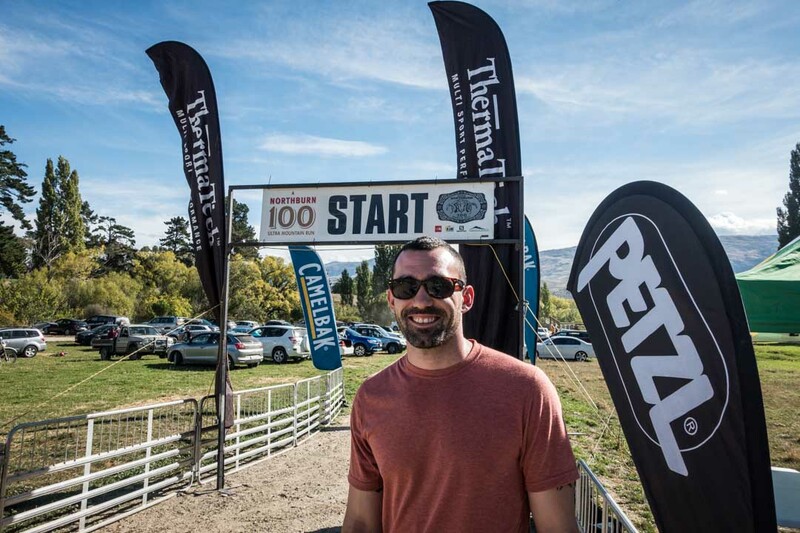 For a course like TNF100 it would have been fine as the elevation was not as extreme and the aid stations were well-stocked, but this was a different story and a good reminder to pay closer attention to these conditions. This and the TNF100 were the only two races I had specifically planned for this year, and they’re now both complete. I’ll now begin to shift my focus to another trip I am planning for June, which will be a fastpacking adventure in Europe. After that, and because of the brutally hot summers here in Pakistan, I’m unlikely to run another ultra until the end of the year although I don’t have any particular race in mind just yet. Until then, I’m looking forward to temporarily shifting my focus to fastpacking.